London Contract Distribution is appointed distributors of some of London and Essex leading free newspaper titles delivered to homes today. 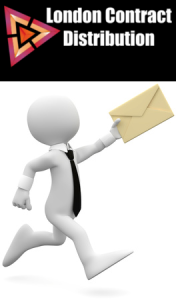 Professional service like leaflet flyer distribution on East South London requires high quality employees. Newshared delivers your message alongside leading local free newspaper in just a matter of days, making it one of the fastest ways to reach your target audience. It’s also extremely cost effective with around 28% national coverage, far greater than any national newspaper, with the benefit of absolutely no duplication and of course, it can be timed and targeted precisely for optimum effect, as a standalone medium or as part of a multi-media campaign to drive sales. Most titles we deliver have Verified Free Distribution membership (VFD) applied that means the distribution levels and frequency of each title are monitored on a weekly basis by part of the same organization that accredits sales figures to daily and weekly newspapers titles that have Audit Bureau Circulation membership (ABC).